Data showing that the overall number of repeat visitors to Macau – defined as those returning within 12 months – had by November 30 already exceeded the same measure for customer behaviour as recorded in 2017, was useful information that the local tourism industry could utilise to forge even better relationships with already-valuable guests. So said a number of industry observers spoken to by GGRAsia. 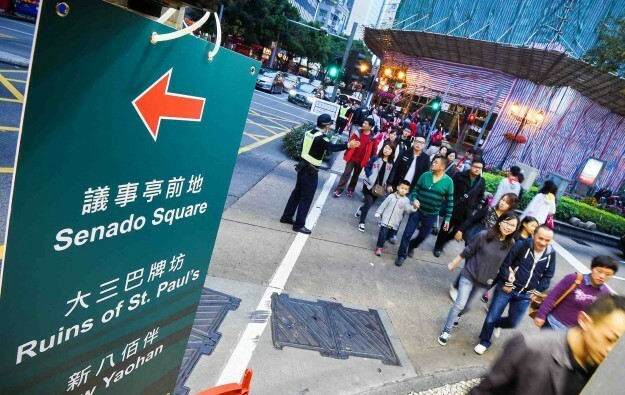 Their commentary followed the recent release by Macau’s Statistics and Census Service of data indicating that approximately 7.53 million of the entries to Macau in the first eleven months of 2018, were people who were returning within a 12-month cycle. Macau recorded an aggregate 32.2-million tourist arrivals in the first 11 months of 2018, show other government data. Non-repeat visitors – i.e. people only visiting Macau once within a 12-month cycle – accounted for less than a third of the overall tourist arrivals in the January to November 2018 period. Approximately 62 percent of the 7.53 million repeat visitors identified during the first 11 months of 2018, fell within the “first to second repeat visit” category, as defined by the statistics bureau. The percentage was similar to that recorded in 2017. Macau’s census service started releasing data on repeat visitors in 2017, so there are no public-sector data available on that topic prior to that. In the light of the repeat visitor data that is available, hospitality industry observers remarked to GGRAsia that more could be done by the casino operators to keep this type of traveller coming back. 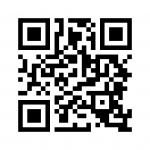 Such effort might involve marketing relating particularly to shopping and catering options. 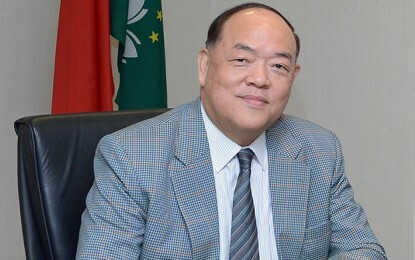 Leonardo Dioko, director of Macau’s IFT Tourism Research Centre, believed that during 2018, the improved air links and land transport network linking the city to nearby regional markets in either mainland China or Hong Kong, might partly account for the uptick in the tally of repeat visitors. Regarding improved land transport connections, the scholar referred in particular to the Hong Kong-Zhuhai-Macau Bridge, which opened to traffic on October 24. Mr Dioko noted the tourism source markets that had made the strongest contribution in terms of repeat inbound visits to Macau in the first 11 months of 2018 were mainland China, the United States and some “Asian countries”. The number of repeat visitors from mainland China totalled 5.4 million for the first 11 months in 2018. That was already 8.2 percent higher than the tally of such repeat travellers in the whole of 2017. Nonetheless in the first 11 months of 2018 some source markets had a “significant drop” in the number of repeat visitors they supplied to the Macau market, at a rate of “over 20 percent” decline, said Mr Dioko. “They are Thailand (-22.2 percent), Indonesia (-23.8 percent), and Vietnam (-22.3 percent),” stated the scholar in his email to GGRAsia. “It would be a healthier trend if we could have less fluctuation in percentage change from visitors across all destinations,” Mr Dioko further remarked. Shopping and food are the top two “most attractive” factors identified by IFT research as having stimulated tourists to make repeat visits to Macau in the period from 2017 to 2018, Mr Dioko noted. He cited as the source the visitor profile study work done by his research centre. The proportion of repeat visitors whose main motivation for visiting Macau was “general leisure and vacation” found shopping as the most attractive factor. They accounted for 41.4 percent of the repeat visitors recorded during 2018. That cohort was followed by food lovers (accounting for 27.8 percent) and gamblers (making up 9.1 percent). The motivating factors recorded in 2018 for repeat trips were consistent with those recorded in 2017, according to the visitor profile study of the IFT Tourism Research Centre. “Casino operators could focus their marketing and management work more on non-gaming activities such as introducing more shops and restaurants to attract more visitors to their hotels,” Mr Dioko remarked to us. Carlos Siu Lam, an associate professor at the Gaming Teaching and Research Centre of Macao Polytechnic Institute, noted those visiting Macau – predominantly mainland Chinese – favoured local food, cosmetics, and medicine in recent years, a shift from shopping for jewellery and watches. While demand for jewellery and watches “could be more volatile,” visitors’ spending on local food products had been “more consistent,” remarked Mr Siu. As of the third quarter of last year, per-capita spending of visitors on food products in the city was MOP252 (US$31.30), or 4.5 percent lower than that of the same period the previous year, according to Macau’s statistics service. With various gaming and non-gaming offerings, Macau’s Cotai casino resorts had become a “very attractive proposition” and could account for the uptick in the tally of repeat visitors, remarked Glenn McCartney, associate professor in international integrated resort management at the University of Macau. But he believed that more work should be done in terms of cultivating a greater number of unique visits from tourists coming from mainland China; especially from places where Macau’s tourism product still had what he termed a “small penetration rate” among consumers. “I think we still have a lot more work to do in [mainland] China in terms of getting awareness, and getting the appeal. Awareness may be one thing; but also making Macau an attractive proposition for second- and third-tier cities,” Mr McCartney remarked to GGRAsia, referring to a system used by commentators to measure the economic and social development of Chinese cities. He also believed that it was important for the Macau resort operators to adapt their products, promotion platforms and “messaging” to appeal to those inclined to make repeat visits to the city. The tally of non-repeat visitors to Macau in the January to November period last year was nearly 10.2 million; and that for full-year 2017 totalled nearly 10.6 million.